Academy Award winner Timothy Hutton and John Lone star along with Lindsay Crouse in this suspenseful drama about a team of Arctic researchers who find a 40,000 year-old man frozen in ice and bring him back to life. Anthropologist Stanly Shepard (Hutton) wants to befriend the Iceman (Lone) and learn about the man's past; Dr. Diane Brady (Crouse) and her surgical team want to discover the secret that will allow man to live in a frozen state. When the Iceman becomes part of their lives, the results are both moving and emotionally shattering. 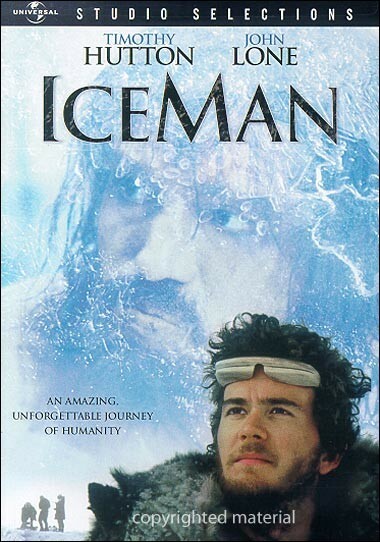 Shot on location in Canada's breathtaking snowy wilderness, Iceman uncovers life's greatest mystery.